Omega Divers is a commercial diving company that specializes in marine construction, county and city infrastructure and ship husbandry. We provide top quality marine services to the Gulf Coast, nationwide and internationally. Our team is professionally trained and focuses on safety and results. Contact us or call 346-704-0699 today to discuss marine services with one of our professional team members. 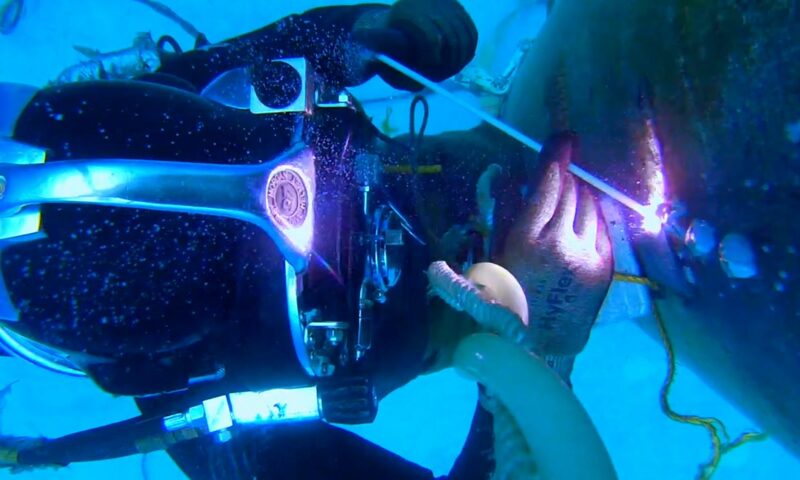 Founded in 2017, built and created from the ground up, Omega divers is a new company eager to make a name in the commercial diving industry. Our staff and dive team have diverse backgrounds and experience in all types of Commercial Diving. Our equipment is new and meets or exceeds the industry standard. We take pride in the work we do. Our main goal is to provide our clients with quality turn key solutions to all their underwater needs. When you choose Omega divers as your diving contractor you will receive dedicated customer service because we are not a huge company with an endless list of clients, but we are large enough to handle all of your underwater needs. to grow as well as easy access to Highway 59. We can mobilize to anywhere in the Texas gulf coast and Louisiana coast area in 24 hours or less. Learn more about our services or Contact us online or by calling 346-704-0699.